The WB introduced a two-hour comedy block to Friday night starting with the fall of 2001, perhaps capitalizing on the fact that ABC was not airing its usual TGIF comedy lineup at the time. At the center was the sitcom Reba starring country music star Reba McEntire. From day one, Reba had the block's highest ratings, opening with five million viewers and a 1.9 demo rating on 10/5/01. After dropping the next two weeks (to 1.6 and 1.5), it rallied to upper 1's and, aside from a weakish patch around February, stayed there for pretty much all of season one. Beyond that, Reba was a very consistent and gradual grower for the next few years. It went from a 38 Plus in season one up to 44 in season four, and it may have been up exactly two points every year had it not gotten moved to the lower-viewed 8:00 for season three. In those first four seasons, it was always at least seven Plus points stronger than any other comedy in the block. Nowadays, even on a relatively healthy CW, it's hard to imagine the network having a sitcom that regularly pulls a 0.7ish on Friday nights. 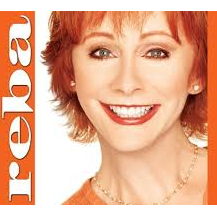 But that's what Reba was for several years, adjusting its numbers to the 2015 environment. The fifth season in 2005-06 was the first "bad" one, at least relative to its own ratings. It took a 24% dip overall, hitting the very low 1's in the last month of the season (and a 0.9 on 4/28/06, its worst number in a regular timeslot). It was still ahead of the surrounding WB sitcoms, but not by as much as it used to be. It still should've been a no-brainer renewal under normal circumstances. But this was no normal season, as programming on the WB was combining with UPN to form the CW in 2006-07. Because space was so tight, most of the WB's Friday sitcoms were culled, and Reba was only able to survive as a 13-episode midseason replacement. After new drama Runaway quickly flamed out on Sunday, the network called Reba to the night... but it had to slum in the low-viewed 7:00 hour, while the network had its usual America's Next Top Model repeat at 9/8c. Considering most of the episodes aired at 7:30, its performance was pretty solid; it ended the season with a higher average than the likes of 7th Heaven and Veronica Mars, and was just barely behind Supernatural. But it was one of those classic situations where the scheduling told the tale. Reba was clearly not part of the vision CW head Dawn Ostroff had for the network, and it was announced as cancelled about a month before the finale aired. It ended with a one-hour finale on 2/18/07, with a 1.3 demo at 7:00 growing to 4.44 million viewers and a season high 1.7 at 7:30.